God, in His infinite wisdom and mercy, gently called His faithful servant, (Gloria) Jean Massey, home to eternal life with Him on Thursday, September 27, 2018. Born on September 17, 1928, in Curwensville, PA, Jean was the fourth of five children born to George D. and Mae L. (Hummel) Ardary. Jean retired at the age of 71 from Provident Bank (Cincinnati, OH) as Assistant Vice President, and was a Mary Kay Consultant for many years. On April 30, 2005, Jean married John “Johnny” Elmer Massey, and together they moved to Somerset, where she resided until her death. John preceded her in death on June 26, 20016. In addition to Penn State Football, Jean enjoyed watching college basketball, and adopted the Kentucky Wildcats as her favorite team. She enjoyed staying active, and cherished the many friends she made at water aerobics, Silver Sneakers and Zumba Gold. 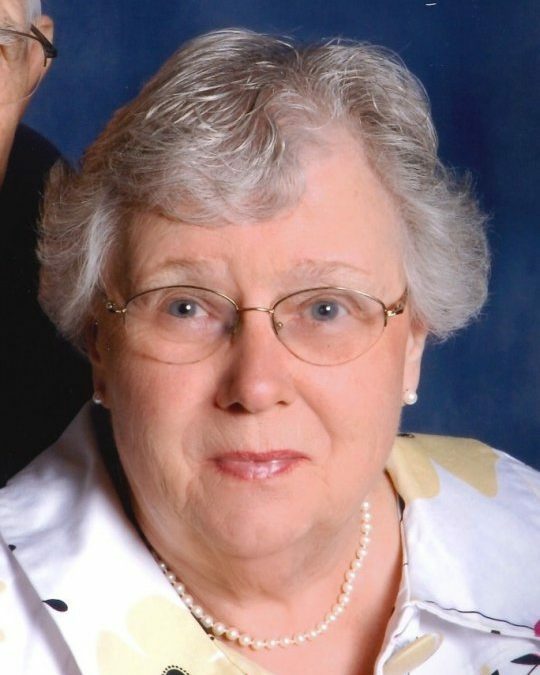 Jean was charter member of Harmony Fellowship Baptist Church, where she was the church’s original Treasurer and later served as Church Clerk, coordinated the prayer chain, and was active in the Women’s Ministry. Having been a Pastor’s wife for more than 30 years, Jean continued to demonstrate a loving, compassionate heart for ministry. Throughout her life she remained a mentor to many in their Christian walk, and on her last day on earth was bestowing a personal blessing on each person with whom she came in contact. Jean is survived by her children Paul (Jan) Kemper of Maple Grove, MN, Mary Beth (Mark) Williams of Snow Hill, MD, and Ruth Ann Boyd of Indianapolis, IN, her stepchildren Suzanne Darling of Durham, N.C. and Tim (Bev) Massey of Maineville, OH, along with four grandchildren and eight great-grandchildren. Other survivors include sisters-in-law Gail Ardary, Mary Cummins, Margaret (Doug) Holt, and Cloyce Massey, brothers-in-law Roy Kemper, Kenneth Massey, Steve (Katie) Massey, and Nick Massey, and a host of nieces, nephews and dear friends scattered throughout the country. Visitation will be at 5:00 p.m. on Saturday, September 29, 2018 in the Chapel of Southern Oaks Funeral Home with funeral service to be held at 7:00 p.m. on Saturday at the funeral home with Bro. Earl Owens and Bro. Adam Owens officiating. Graveside Services will be held at 1:00 p.m. on Monday, October 1, 2018 at Rest Haven Cemetery, 10209 Plainfield Road, Cincinnati, Ohio 45241. In lieu of flowers the family requests memorial contributions be made to Harmony Fellowship Baptist Church Building Fund, PO Box 1456, Somerset KY 42502, or to Hospice of Lake Cumberland, 100 Parkway Dr, Somerset, KY 42503. Southern Oaks Funeral Home is entrusted with the arrangements for (Gloria) Jean Massey.